Environmental Law Programme (ELP) of the School of Law at the University of the South Pacific provides students with a rigorous academic and legal skills programme to ensure they are well-prepared for the specific challenges of practicing environmental law in the region. The ELP currently offers the Master of Environmental Law as well as numerous environmental law courses at an undergraduate level. It is envisaged that a further postgraduate diploma and interdisciplinary masters degree will be introduced in the near future to meet the growing demand for environmental law capacity in the region (and beyond). 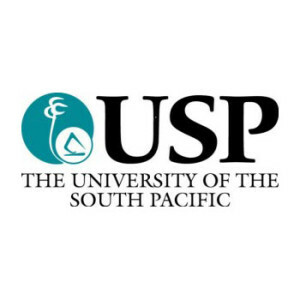 The University of the South Pacific (USP) is one of only two regional universities that was founded by its twelve Pacific member countries: Cook Islands, Fiji, Kiribati, Marshall Islands, Nauru, Niue, Samoa, Solomon Islands, Tokelau, Tonga, Tuvalu and Vanuatu. Dalian Maritime University (DMU) is the largest and the only key leading maritime institution under the Ministry of Communications, People’s Republic of China. The University enjoys a high reputation internationally as a center of maritime education and training, as confirmed by the International Maritime Organization (IMO). The origin and history of the University can be traced back to 1909 when a Shipping Management Section was founded by the Shanghai South Sea Institute. In 1960, DMU was confirmed as being one of the key universities of the land. The Asian-Pacific Region Maritime Training Center was established at DMU in 1983 by the United Nations Development Program (UNDP) and the IMO. A branch of the World Maritime University (WMU) was opened at DMU in 1985. The University’s name was changed to the present one in 1994 with the approval of the Ministry of Education. DMU consists of 12 colleges and 4 departments. The total number of fully registered students now reaches almost 13,000. Since the amalgamation in 1953, DMU has trained over 40,000 highly competent personnel, the majority of whom have become the backbone of the navigation sector. In addition, DMU has trained more than 2,000 overseas students and personnel from over 30 countries and regions. The NFRDI was created under the Philippine Fisheries Code of 1998 and started formally in 1999. NFRDI’s objectives are: to raise the income of the fisherfolk and to elevate the Philippines among the top five (5) in the world ranking in the fish productions; to make the country’s fishing industry in the high seas competitive; to conduct social research on fisherfolk families for a better understanding of their conditions &needs; and to coordinate with the fisheries schools, LGUs and private sectors regarding the maximum utilization of available technology, including the transfer of such technology to the industry particularly the fisherfolk. Legal Atlas is an award-winning global initiative incubated at the University of Montana beginning in 2011. 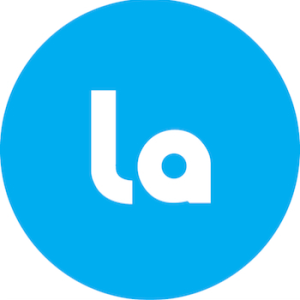 Legal Alas aims to make a substantial contribution to global development goals by generating unique legal intelligence services that will contribute to better management of the environment and natural resources of our planet. Recognizing the need to mobilize knowledge and research about small-scale fisheries, Too Big to Ignore partnership works to address the many challenges facing small-scale fisheries globally. Specifically, they aim to enhance understanding about the importance of small-scale fisheries and their social and economic contributions, while addressing climate-related and human-induced threats, encourage policy changes, improve governance, and develop capacity. Whalefish is a non-profit International Organisation and network of marine scientists and professionals who contribute to marine conservation through academic research, awareness initiatives, environmental consultancy and volunteer projects. Their task is to improve marine conservation awareness by transmitting the research of our scientists and collaborators from the field to the public. They also provide a platform to network for conservation projects, volunteer and job opportunities within the scientific community. 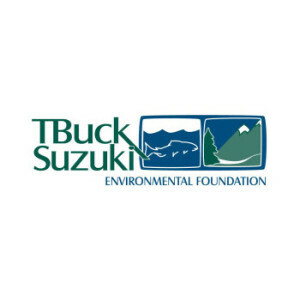 The T. Buck Suzuki Foundation was founded in 1981 by commercial fishermen to protect habitat, prevent pollution, and promote sustainable fisheries. For the Foundation a sustainable fishery respects the ecological integrity of the ocean and its resources; is ethical, responsibly governed, economically viable and technologically appropriate; supports adjacent communities; draws on local culture, heritage, and diverse knowledge systems; and enhances health, wellbeing and the public good. The Foundation strongly supports ecosystem based management within integrated marine planning processes, connecting decision makers with affected communities and stakeholders through open, collaborative processes. DiscoverTURFs is dedicated to providing education and resources concerning Territorial Use Rights in Fisheries, or TURFs. TURFs give individuals or communities exclusive access to fish within a specific area. They are a valuable tool in conserving small-scale fisheries for the betterment of local communities. DiscoverTURFs is currently developing an interactive map that features detailed information about a subset of TURFs from around the world in order to develop an understanding of the common characteristics that lead to successful and sustainable fisheries management. 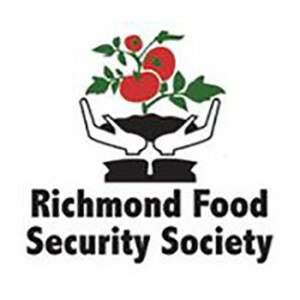 The Richmond Food Security Action Group oversees the planning of the activities and events of the Society. The society’s mandate is “That all people in the community, at all times, have access to nutritious, safe, personally acceptable and culturally appropriate foods, produced in ways that are environmentally sound and socially just. Ecotrust Canada is an enterprising nonprofit whose purpose is to build the conservation economy. We work at the intersection of conservation and community economic development promoting innovation and providing services for communities, First Nations and enterprises to green and grow their local economies. Because the fishing industry is a key economic driver in coastal B.C. we have worked extensively with fishing enterprises, fishing associations and departmental ministries to conduct research, provide training, deliver monitoring services, create decision-support tools, and support marketing and sales efforts. Our fisheries team is respected in both NGO and industry circles for their approach and integrity. Ecotrust Canada maintains a staffed office in Prince Rupert that is directly involved with the commercial fishing fleet both through the provision of monitoring/observing programs and through community-based fisheries business planning. 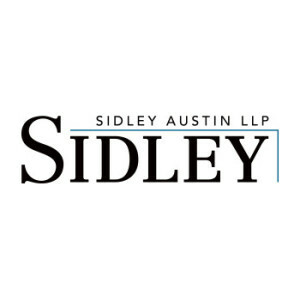 Sidley Austin launched the Africa-Asia Agricultural Enterprise Program in 2012 to offer free legal assistance to small- and medium-sized agriculture-and aquaculture-related enterprises and smaller development NGOs in Africa and Asia, specifically enterprises that benefit poor farmers and fisherfolk. FLC partners with Sidley to extend the Agricultural Enterprise Program to small-scale fisheries, in accordance with the Voluntary Guidelines for Security of Sustainable Small-Scale Fisheries in the Context of Food Security and Poverty Eradication of the United Nations Food and Agriculture Organization.